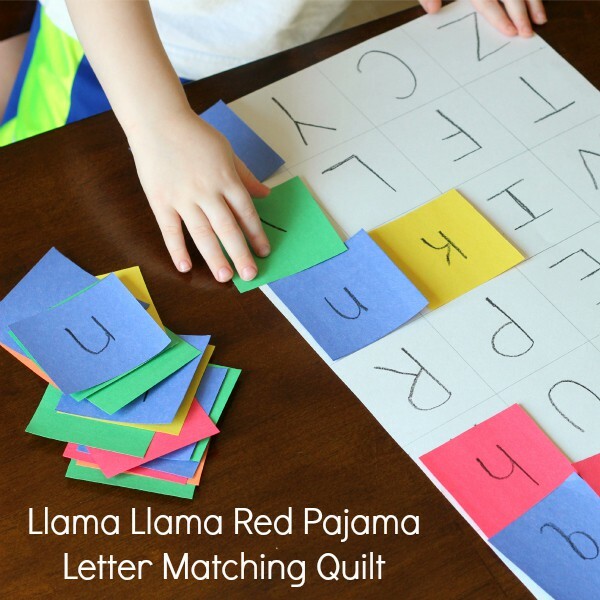 This Llama Llama Red Pajama alphabet activity was a great extension for the book. 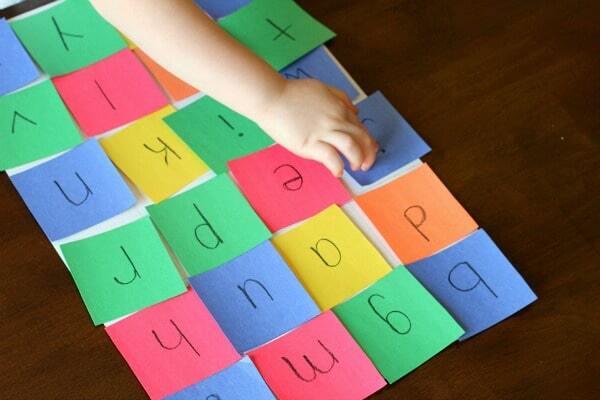 Practice uppercase and lowercase letter matching while making a quilt. 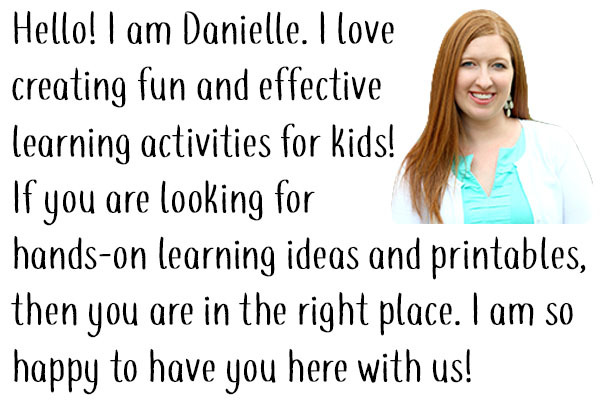 My kids love Llama Llama Red Pajama, so I was so happy that it is being featured this month for the Virtual Book Club for Kids. 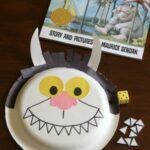 I knew I wanted to create a really great alphabet activity to go with the book. To be honest, I was a bit stumped to begin with. The quilt that Llama has on top of him for most of the book kept catching my eye. It is such a key feature of the book. I decided it would be perfect for our activity. Why not make a letter matching quilt? Draw a grid on the 12″ x 18″ sheet of paper with a pencil and ruler. I did 4 across and five down. Each square was roughly 3″ x 3″ – slightly less on the height. Use the ruler and pencil to draw a grid on each colored sheet of paper. I made squares that were about 3″ x 3″ each. Cut them out. 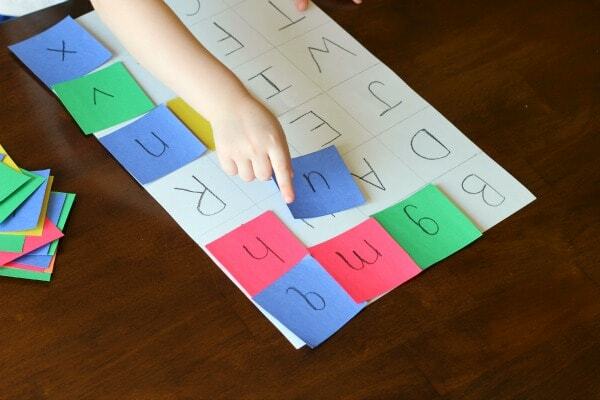 On the large piece of paper, write uppercase letters on each square. 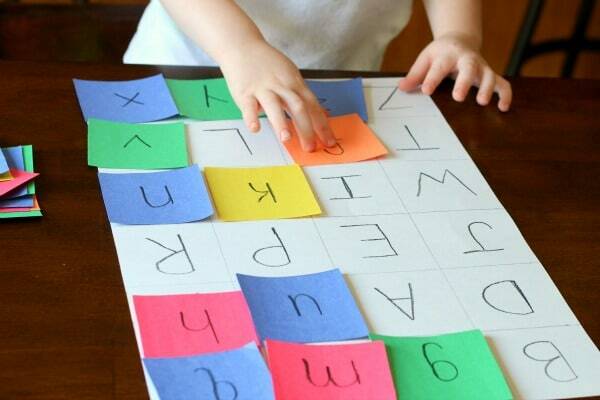 On each of the colorful squares, write a lowercase letter that will correspond to an uppercase letter on the large paper. I set out the large sheet of paper and all of the colorful paper squares. 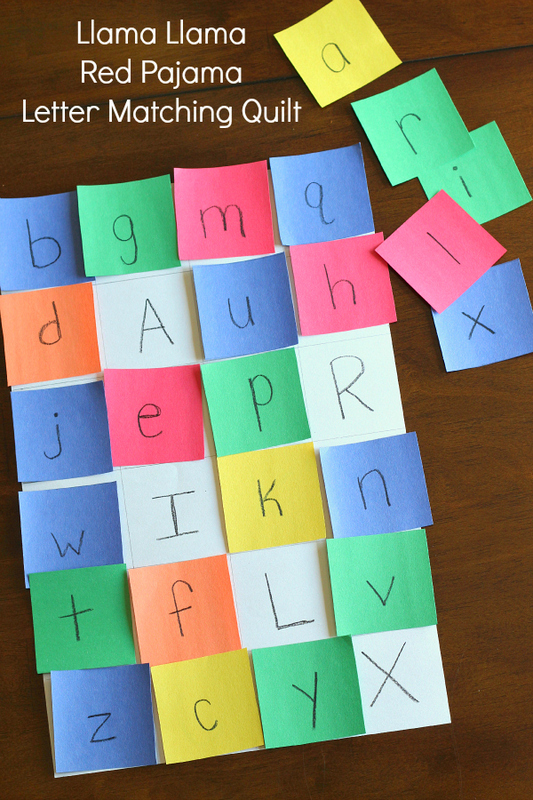 Then I explained to my son that he was going to match the lowercase letters on each colorful square to their uppercase match on the large sheet of paper. In the end we would have a quilt just like Llama’s! He got right to work matching the letters up. 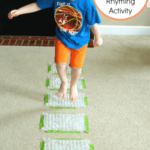 He would pick up a colorful square, name the letter on it and then look for the uppercase match on the white sheet of paper. This continued until every letter was matched up. He did need a bit of help from me on a few of the letters, so it wasn’t entirely independent. 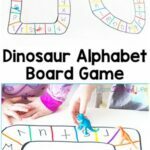 If your child is just beginning to learn letter matching, I would recommend going through each letter with them. 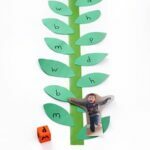 Another option is to only use lowercase letters on the large paper and on the squares and have your child match a lowercase letter square to its lowercase match on the quilt. The same could be done for uppercase letters. 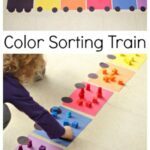 It was a great way to work on letter recognition and letter matching. I am definitely saving it so we can use it again! 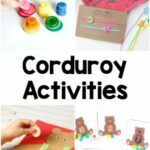 Check out all of the other Llama Llama Red Pajama activities from the Virtual Book Club for Kids!